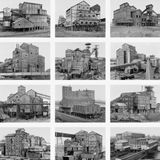 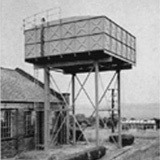 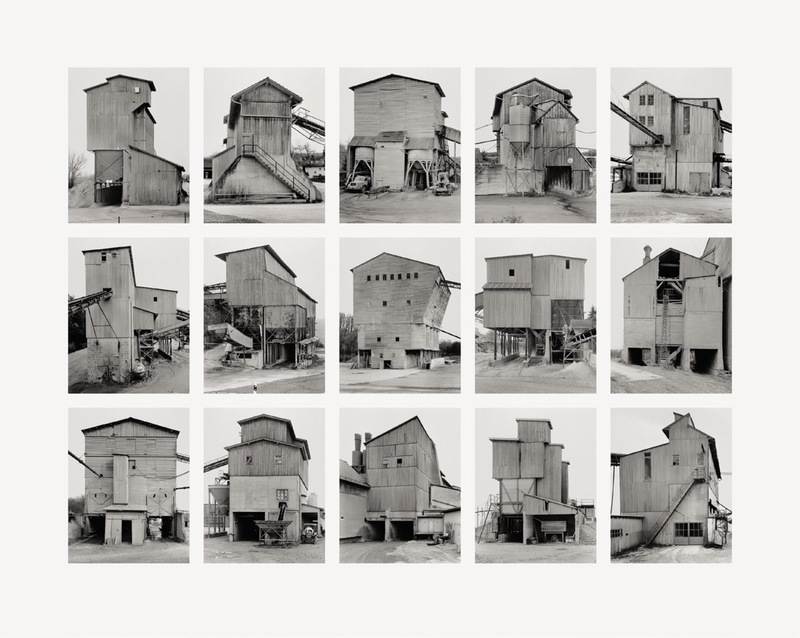 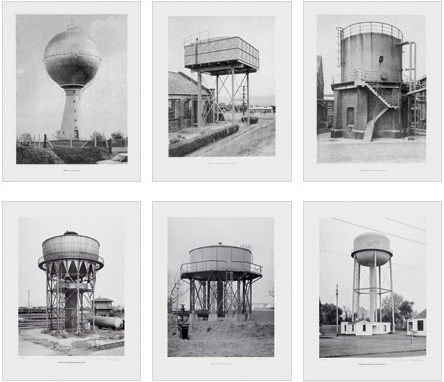 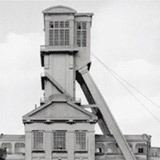 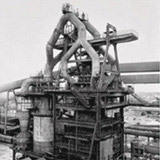 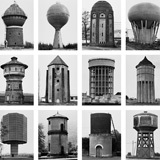 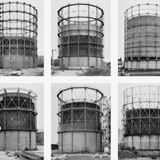 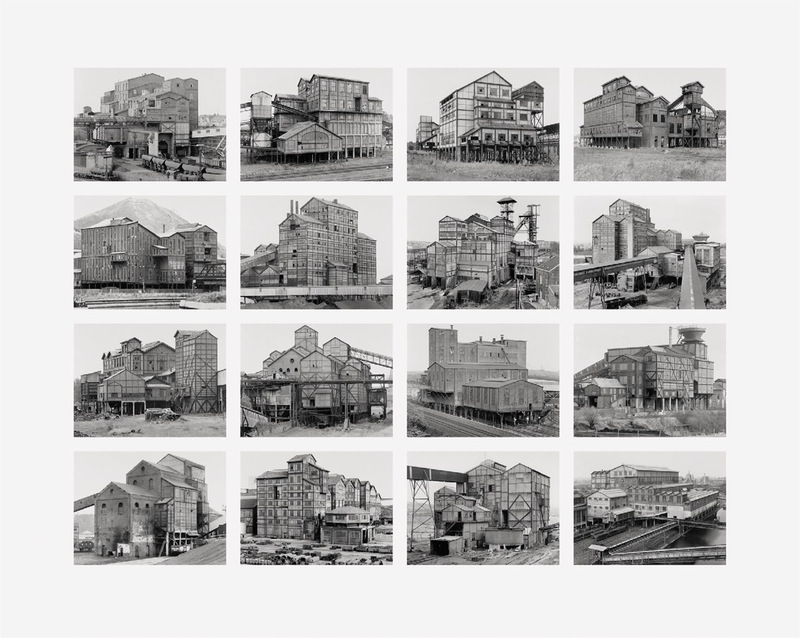 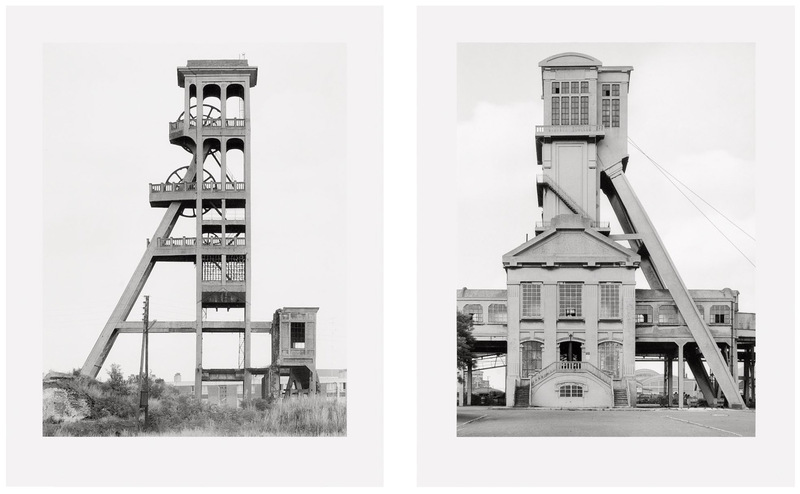 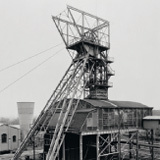 Bernd Becher, born 1931 in Siegen, Germany, died 2007; Hilla Becher, born 1934 in Potsdam, Germany, lives and works in Düsseldorf. 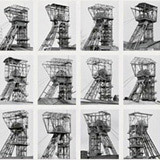 The photography of the Bechers is a documentary one. 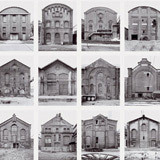 The buildings, mostly industrial manufacturing plants, regarded by the artists as "anonymous sculptures", appear isolated without the workers. 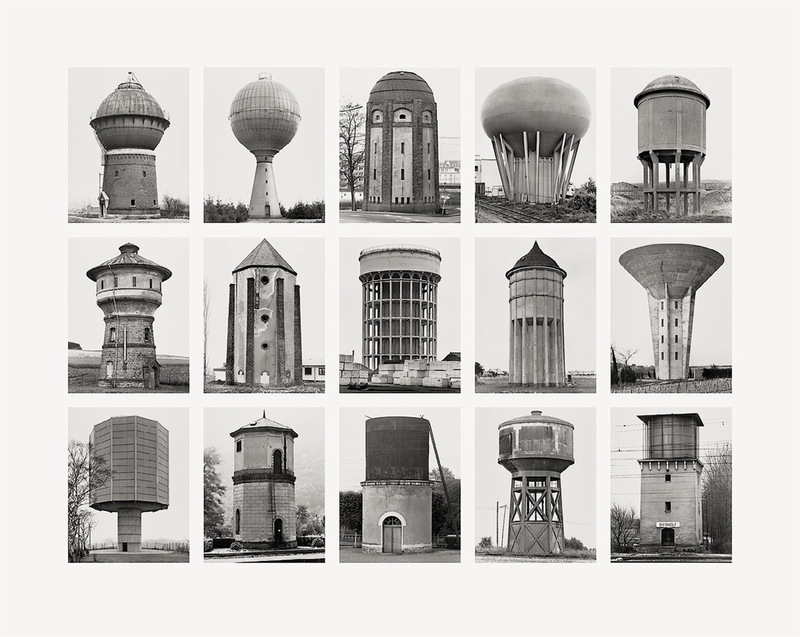 They are monuments in and of themselves, and at the same time symbols of functionality. 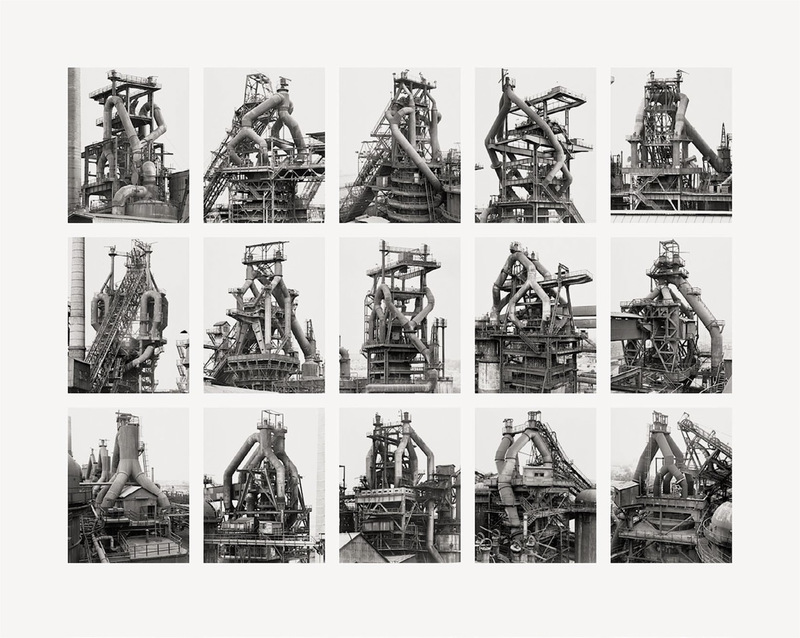 In typological series, constructions or devices with the same functions and comparable structures are analyzed, always under the same - objective - shooting circumstances, in absolute abstention from an expressive treatment. 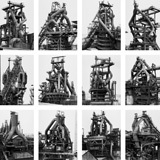 Some images also available individually, see below. 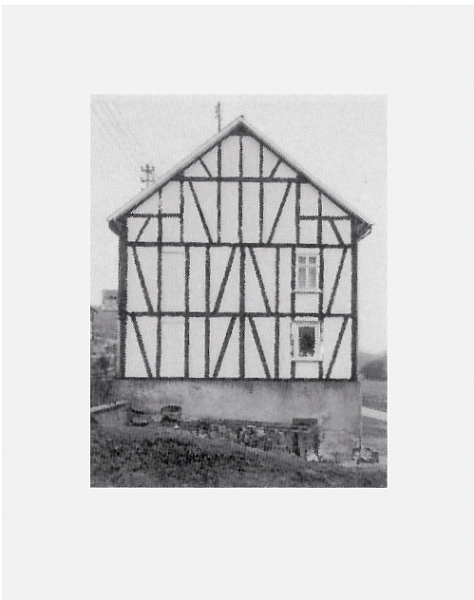 of 60, signed and numbered on verso. 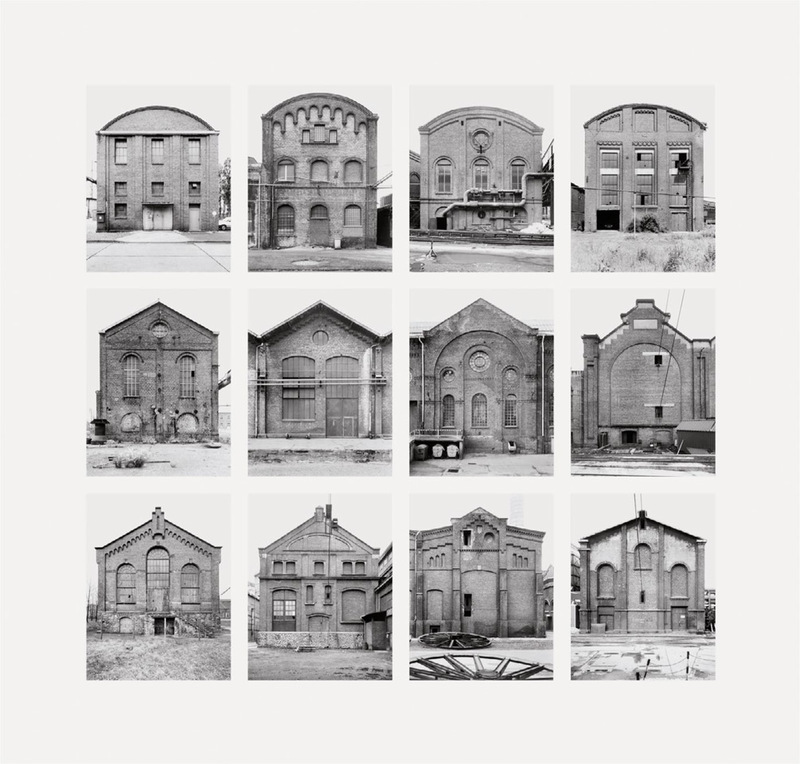 signed, numbered, edition of 60. 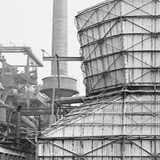 "B. 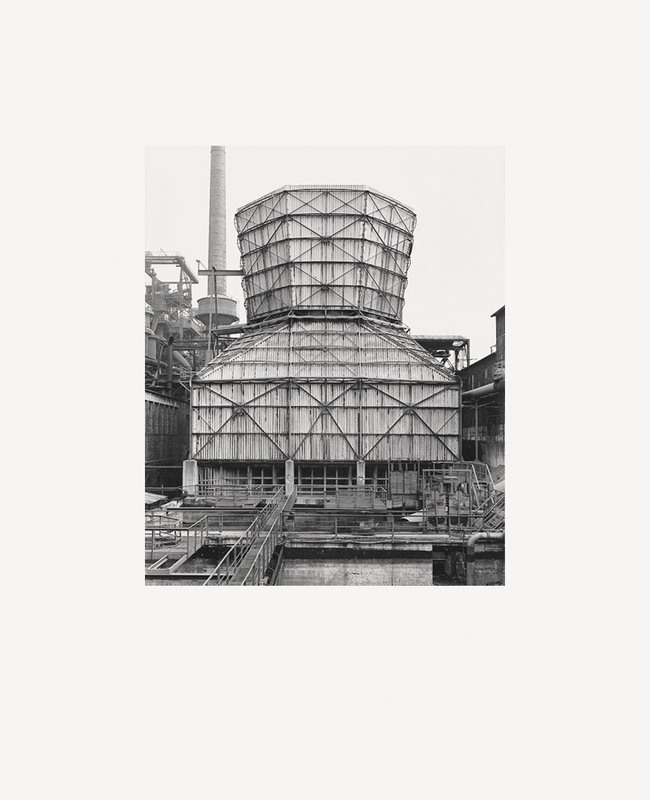 + H. Becher" on verso by H. Becher, numbered. 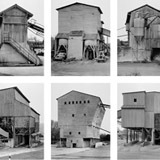 5-part leporello, digital pigment print (Ditone) on 260 g Hahnemühle Baryta paper, 32 x 125 cm (12½ x 49¼ in). 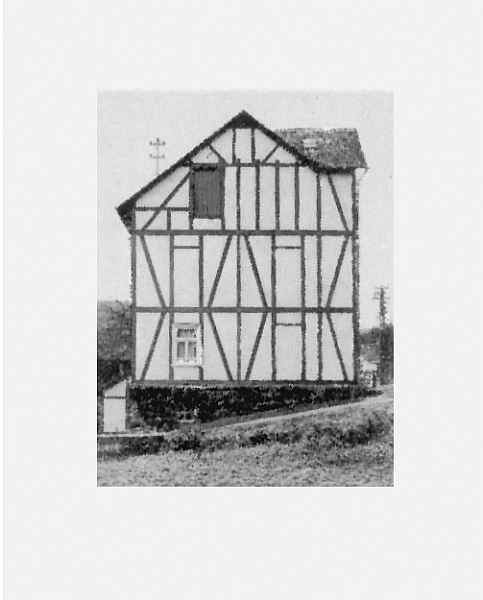 Edition of 75, signed "B. 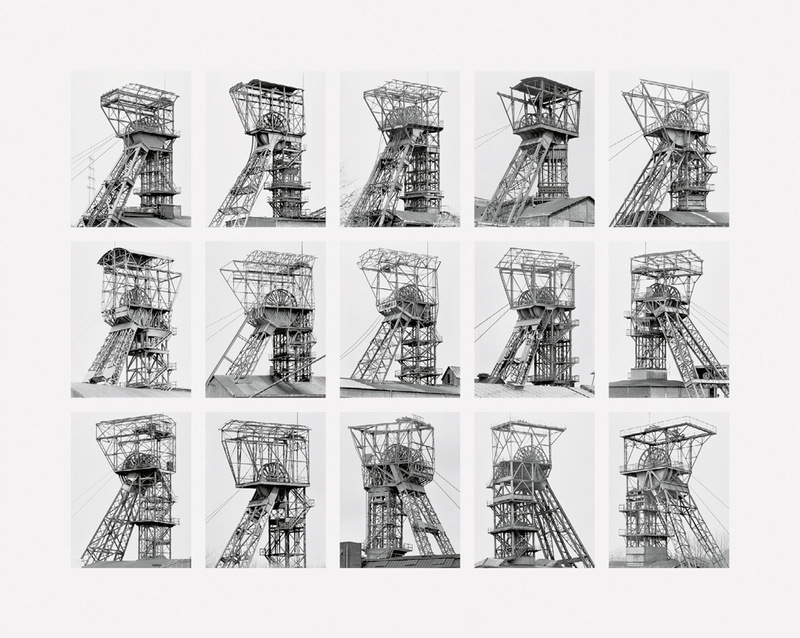 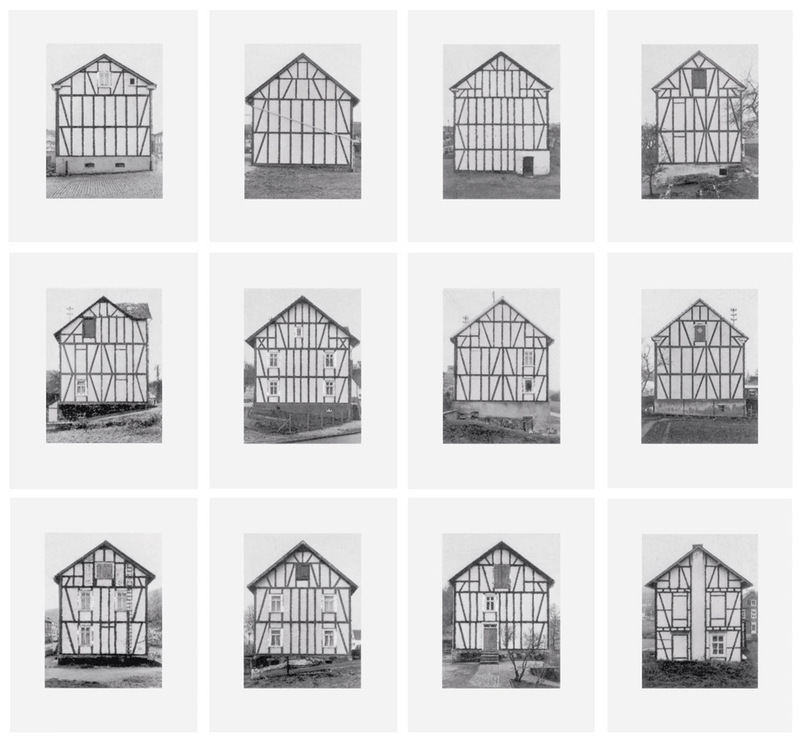 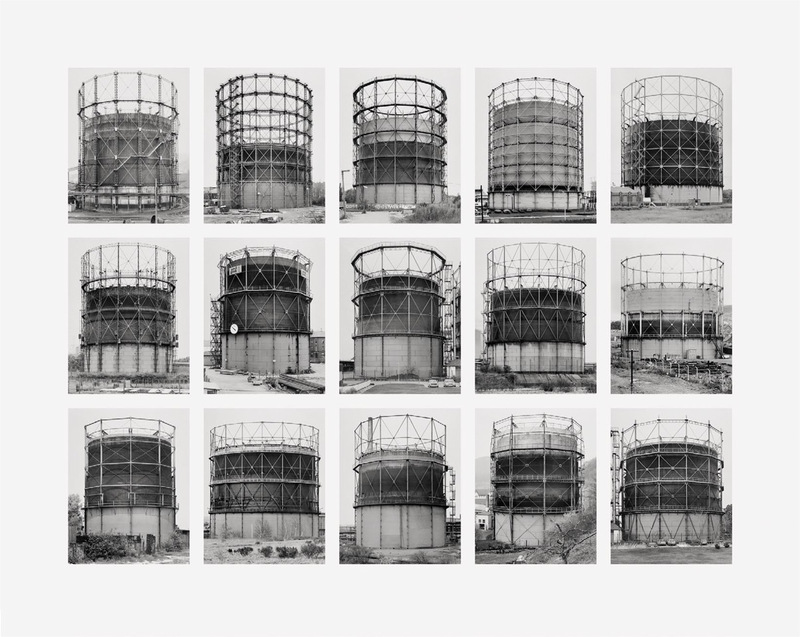 + H. Becher" by Hilla Becher and numbered on verso. 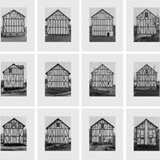 (20½ x 15¾"), each signed on verso. 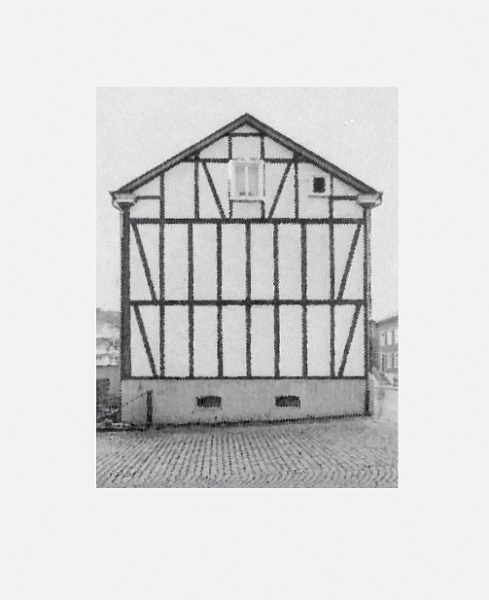 Artist´s proof in addition to an edition of 385.